Line a large bowl with aluminum foil (this is not to protect the bowl; it is part of the recipe.) Mix salt and soda with warm water in the bowl. Place silver items in mixture and soak for one hour. Dry and buff with a soft cloth. 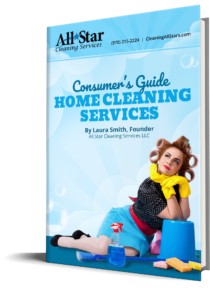 This is the most common method I’ve come across in my years of natural cleaning research. I didn’t have a container large enough to fit the entire candle holder in, so I used the largest baking dish I had, which submerged about half of it. Then I went to a movie. It didn’t really work. I experimented with adding more salt and soda and left it for another hour. Nothing. I was pretty surprised by this actually, although I should know by now that not all natural cleaning recipes really work all that well (which is why I keep this blog in the first place!) This recipe is just so widely spread across the internet, I never really thought to question it. Maybe I did something wrong? In the end, I used Tom’s of Maine Toothpaste (must be white paste not gel FYI) and it came out beautifully. It would take quite a lot of toothpaste to polish something much larger than a candle stick though. If anyone out there in cyberspace has any other natural recipes for silver polish that could more easily handle large pieces, post them in the comments – I’d love to try them out!